There was a huge 24% increase in tenancy applications during 2011 compared with 2010. Recently released figures show that there were over 275,000 new tenants that registered for private rental accommodation throughout 2011. An extensive survey conducted amongst more than 300 branches of the Countrywide network tracked key trends with nearly 80,000 new tenants registering in Q3 2011. London showed the largest overall change with a 35% increase in applications. 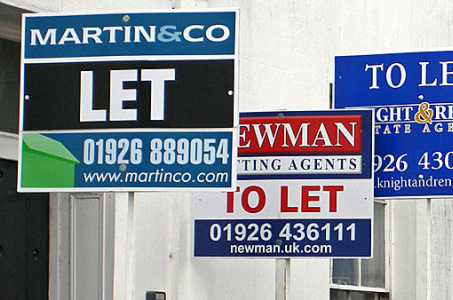 Research also indicates that the demand is causing many rental properties to be let before they are even advertised. Those that made it to market were let/occupied in an average of 13.6 days in 2011, a reduction of 1.2 days compared to the 2010 average, a significant 8% reduction in voids. Cohabiting couples under the age of 35 are revealed as the largest group within the sector, comprising 23.4% of all new tenant applications and inquiries although there is a steadily growing number of families, indicating a rise in the demand for larger properties is likely in the coming 12 months. The overall increased demand for rental houses seems to be spurring the buy-to-let market out of its slumbers with a 20% increase during 2011. However, excitement still needs to be tempered as lending is still only running at 30% of the total lending seen during the peak of the market.